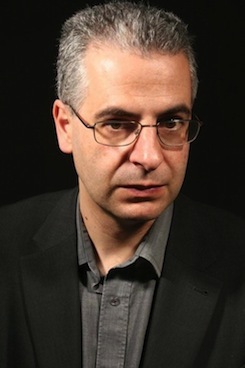 Nick Pope's best-known book is an overview of the UFO mystery, with particular emphasis on his time running the Ministry of Defence's UFO project. 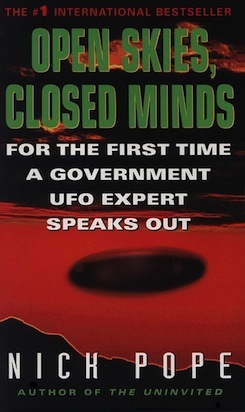 Because the book includes information from the MoD's UFO files and draws upon Nick Pope’s official government research and investigation, the book had to be vetted by the Ministry of Defence. The book examines some classic UFO incidents such as the crash of an object at Roswell, as well as Britain's best-known UFO case, where an unidentified craft landed in Rendlesham Forest near RAF Bentwaters and RAF Woodbridge. Open Skies Closed Minds was serialised in the Daily Mail and reached number three in the hardback non-fiction list, staying in the top ten for ten weeks.
" Pope's is the first book on UFOs from someone with inside knowledge and access to Top Secret material. " "If you have the slightest interest in unidentified flying objects, you owe it to yourself to read what Nick Pope has to say." "A provocative book, written in a reasoned, dispassionate manner."